It doesn’t smell as bad as I thought it would (though it does smell bad). It is surrounded by canons and clearly owns the police. Its money is heaped in deep black banks. It has broken every treaty with life. Its ceremony is a poison of ill-wishes. It seems to have eaten the ducks and buffalo. Its clime is coming and difficult to resist. The first thing is how much is green. Flying in from the south and west, all I can see from the air is boreal—forest, bogs, large and small chocolate brown rivers winding—no devastation as the plane descends towards Fort Mac. Almost pristine. 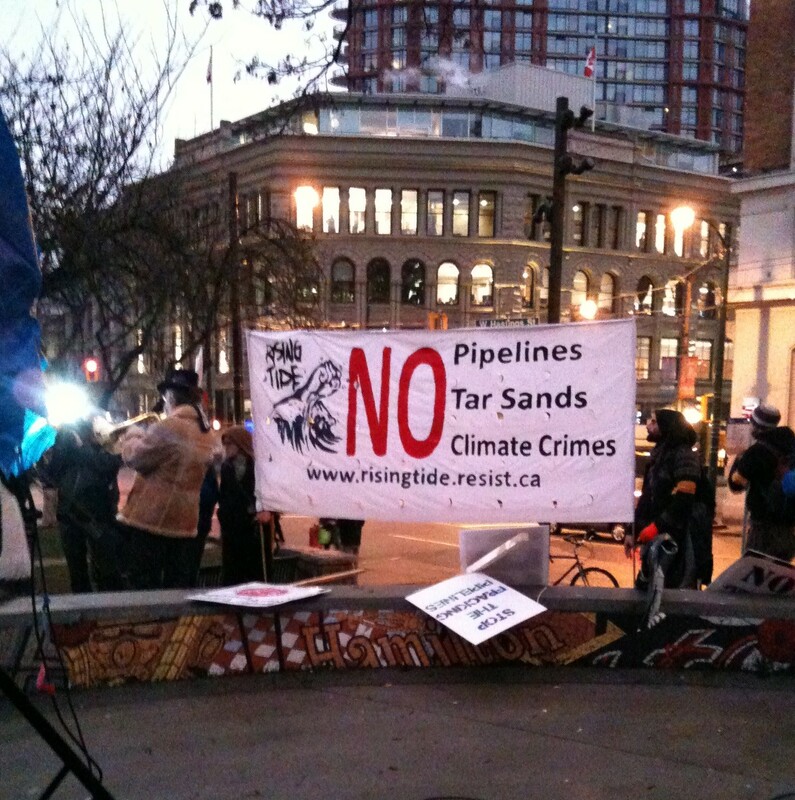 They dare not fly over the Tar Sands, of course. They don’t want you to think you’ve arrived on the moon. Once we did make it onto the mining footprint, this is what sunk in: all that boreal beauty they had to scrape away to make this fabricated desert. And it was a desert—bleached white sand dunes stretching into the distance, a lifeless moonscape from which the “overburden” of every organic thing that naturally exists had been removed in its entirety. The second thing is the water. This is a water world—rivers, lakes, bogs, everywhere you look. “Water is life.” We camped on the shores of Gregoire (or Willow) Lake. We followed the Athabasca River north to the mines. And there—despite the astonishing amount of water used in the extraction process—a desert of dry and drying tailings ponds, become a waterless white chemical sea of sand. The Athabasca flows on—close by the mines and their poisonous tailings ponds—on into Lake Athabasca and to Fort Chip, where the Athabasca Chipewyan First Nation (ACFN) can no longer safely drink the water that surrounds them—where their bodies are being ravaged by disease. The third thing is the scale. We walked for 14 kilometers around the circumference of one former—now largely dry—tailings pond. This is apparently an older section of the Tar Sands, already part of a “reclamation” project. The furthest we travelled into the mining footprint—where Syncrude’s refinery stands, from a distance across the desert (that once was a boreal forest) looking every bit the Tower of Doom deep in Mordor—even then we could only imagine the scale of the active mining out there beyond Syncrude, where we weren’t allowed to go. Only 5% of the bitumen deposits have been developed to this point. What we saw was just one corner of that 5%. And still it was vast, disorienting. And lifeless. The fourth thing is that this is the part of the Tar Sands that they want you to see. A show room. To one side of the desert we circled, a “lake” with green replanted banks and small sparse trees and the occasional wildflower. A sign offering a scenic “view point.” But the give-away—dead waters. Air canons regularly sound, and floating orange scarecrows (looking like zombie miners), try to ward birds away from their deaths in the toxic ponds. Because the oil companies care. They actually think this makes them look good. The fifth thing is the people. The people of this land. The people who came to this land from far away—from Toronto, Ottawa, Edmonton, Calgary, Vancouver and many other places. The people who came from Idaho, Oregon, California, New York, Alabama and Texas. The indigenous land defenders from across Turtle Island—come to walk, come to pray, come to resist, come to bear witness, come to heal—and especially those whose territories these have long been. Their resilience. Their resolve. We lived in their words for three days. And when we walked, we walked to their drumming and singing—we kept going, despite the seven hours circling a scorching desert, because their drumming entered our bodies, lifting our feet and our hearts. The sixth thing is the future. ACFN Chief Allan Adam invoked the future anterior—a verb tense I think our efforts now depend upon—when he offered us the vision of our children and grand children one day asking, “what did you do…when all this was happening?” What will we have done, to stop the destruction, is a question we must imagine ourselves one day having to answer. Manitoba Grand Chief Derek Nepinak invoked the future too: we must think in terms of seven generations, he advised, of which we are the fourth—behind us our parents, grandparents and great grandparents—ahead of us our children, grandchildren, and great grandchildren. These seven generations we carry with us all our lives—whether they are physically present or not. We walk for those who brought us here, and for “all those who are waiting to come into the world.” They are our abiding responsibility—to tend the world for them, in memory and anticipation. The eighth thing is bearing witness. In many ways a personal question—living and working at the endpoint of a bitumen pipeline, I needed to see its source. The Tar Sands was thumbnail pictures online and a dragon that haunted dreams. It’s good to see the reality—a desert in the north, where boreal forest once spread—the complete removal of everything that we might call “life”—a sore throat, irritated eyes, and a rash on my legs, likely from the chemical filled dust that swirled around our feet on the long, hot walk around the crumbling land. The ninth thing is the walking. We are the species that walked out of Africa, walked all over the planet. We are natural walkers. Now, some work hard to curtail further walking, to enclose and exclude, to reserve certain spaces for profitable private use—and destruction. 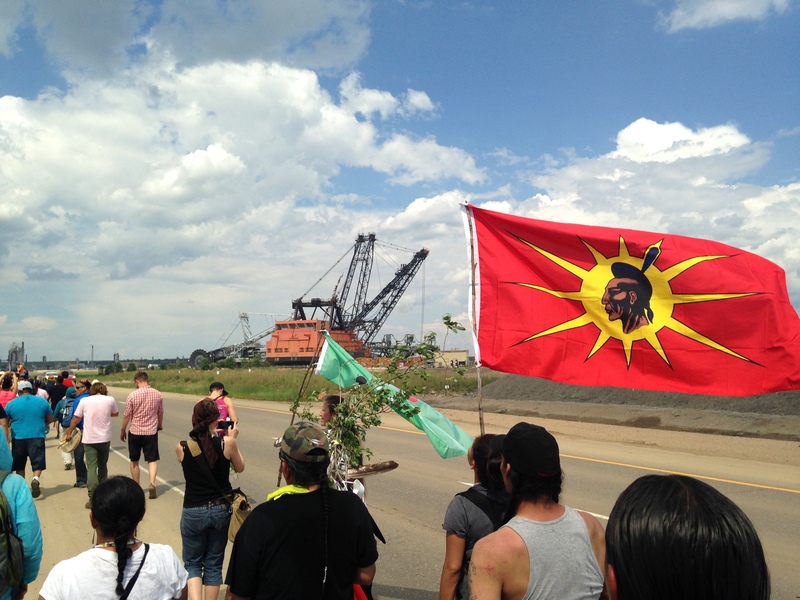 You can’t walk off line in the Tar Sands—security and police are quickly on you. It is a highly regimented space—high fences, air canons, and prison block barracks. Huge trucks rumble in every direction. But we managed to beat the bounds of one firey ring of the Tar Sands. We were walkers in a dangerous time. 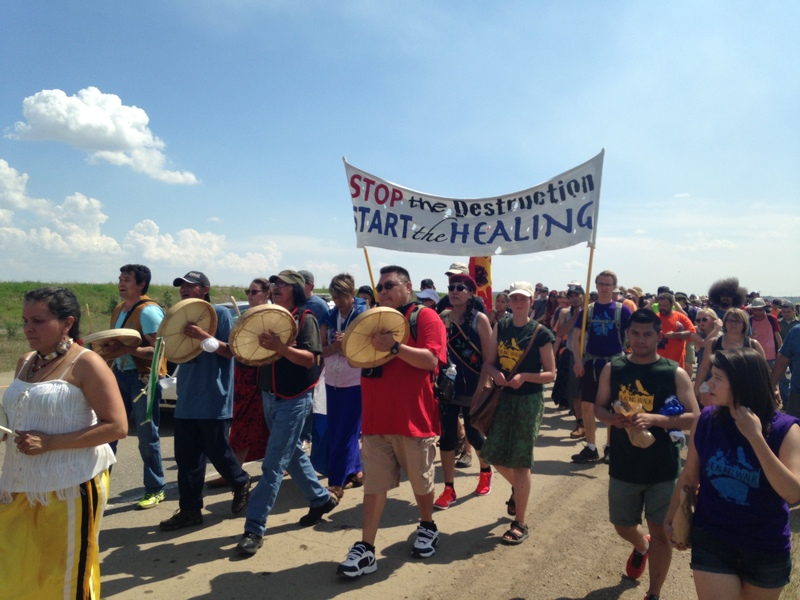 This entry was posted in Uncategorized and tagged Healing Walk, Tar Sands on June 30, 2014 by Stephen. I leave shortly for Fort McMurray Alberta, where I will walk, with hundreds of others, led by Athabasca First Nations and the Keepers of the Athabasca, around a massive tailings pond in the Tar Sands. We will pass between several other massive tailings ponds, and along the edge of a landscape scraped clean of its “overburden” (that’s everything that used to exist there—indigenous peoples and their cultural practices, trees and plants of every variety, animals of all kinds, naturally occurring bodies of water, etc.) and dotted with machinery and the silver towers of refineries. What follows are some brief thoughts about the politics of walking—before the walk. To which I will return after the fact as well. In the face of the Tar Sands project—which has everything to do with speed, with fuelling the speed of our consumption, with the speed of economic development where the mindset, very clearly, is get as much as fast as possible, before the competition, the climate, or reason shuts the project down—the slowness of walking articulates an alternate world view. I also think of the words of the Zapatistas—caminamos, no corremos, porque vamos muy legos—“we walk, we do not run, because we are going very far.” For activists, I think this is the difficult part. We feel the urgency of the problem in our very bones, and hear the frantic calls for action, even in our unsettled sleep. But the sort of transformation that must be managed—its scale—is so massive, there is simply no way to run there. We have to renounce the sprint, and affirm the long march. We will walk, because the distance to be travelled is so far. But we need to start walking now. Walking, writes Gros, is also the “recognition of our finiteness.” Here is another renunciation and affirmation. A project like the Tar Sands is all about hubris—about the scale of human ambitions when it comes to material wealth and “development” (an entirely problematic concept). Against the scale of this project, we place our small and finite human bodies. We reject trucks the size of houses, oil sand reserves the size of England, and affirm the scale of the human body walking, the brevity of our lives against the long term effects of this “development” as it drives climate change into an untenable future we will not even live to see. Which brings us to walking and time. Gros notes the similarity between the repetitiveness of walking and Nietzsche’s idea of the eternal return. Walking is performance and ceremony. I take the same walk, along the same route, almost every day. It fashions a sort of timelessness that heals, a sense, as Gros writes, in which “I have always been here, tomorrow, contemplating this landscape.” This is the future anterior—the temporality of what we will have done—a projection from now into tomorrow. We are the one’s we’ve been waiting for. And we are tomorrow’s ancestors (maybe…if we are lucky). “Walking makes time reversible,” Gros adds. Walking, we put a foot forward into tomorrow, claiming it as a continuation of today—not in the name of a featureless sameness, but in the name of there being a viable tomorrow in which our feet will fall on forgiving ground. Walking, we hold time in place—we make time, one step at a time, creating the world we are walking into. The politics of this walk are as yet unwritten. I’m going to the Healing Walk to bear witness, to walk with others and listen to others—and to listen to the land. I’m going to the Healing Walk to renounce speed and development and affirm the pace at which we can really think and understand—the speed of walking, the speed of community. I’m going to the Healing Walk because massive systemic processes and changes, like capitalism and climate change, are often abstract and I want to see them up close and breathe their sharp petroleum air because we have made this air and should feel its sting in our eyes and lungs. I’m going to the Healing Walk because capitalism, which we’ve long known to be a mechanism for the production, protection, and escalation of inequalities, is now also revealed to be a doomsday device, a mechanism programmed for ecoside, set on self-destruct. And I’m going to the Healing Walk as one whose Marxist analysis doesn’t always leave room for grieving and loss and ceremony and because intellectual hubris is never too far from economic hubris and I want and need to get close to the ground. 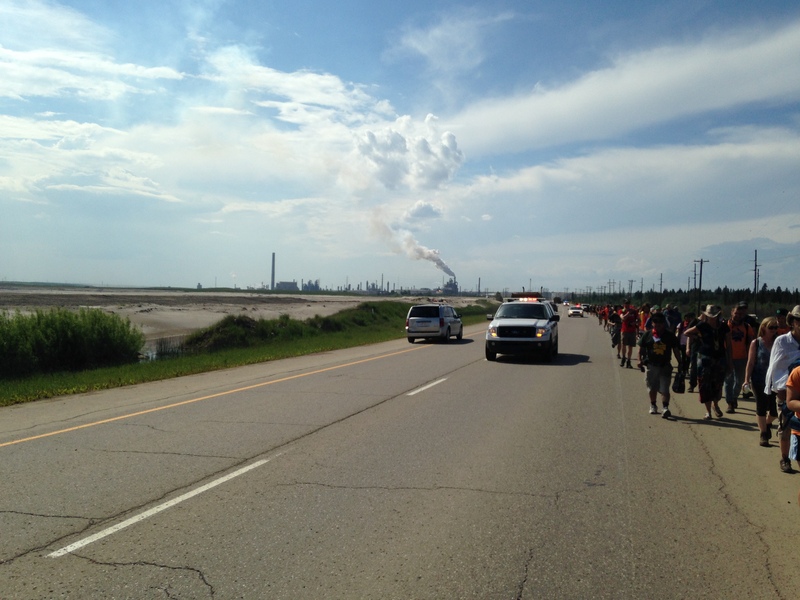 This entry was posted in Uncategorized and tagged Healing Walk, Tar Sands on June 25, 2014 by Stephen. 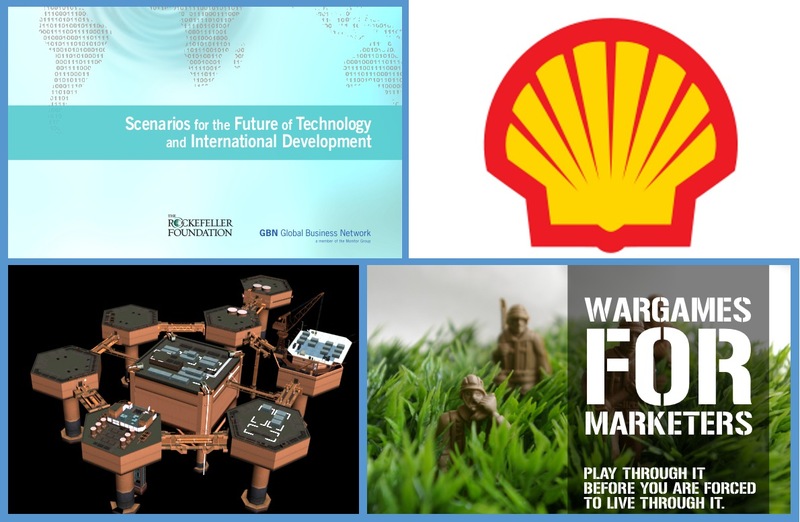 Shell Oil has been using scenario planning “to explore the future since the early 1970s.” Shell’s “futurists” (yes, Shell employs “futurists”) develop these “what if” scenarios of “plausible futures” in order to make their business plans—ideologically palatable. Interestingly, these plans have increasingly come to accept climate change as a “plausible” future factor. Apparently, a future without oil, a future without Shell, is not—plausible. Futurists are investors too, “futures” fictions traded on markets. Time is money. “What if” the future was not driven by the market—is not a scenario that can be considered at all. is of course no choice at all. 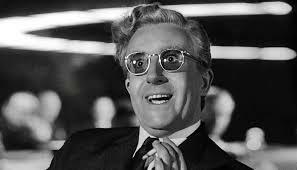 I’ve long been fascinated by Stanley Kubrick’s 1964 film Dr. Strangelove or: How I learned to Stop Worrying and Love the Bomb. Slim Pickens rodeo riding an atomic bomb down over a Soviet base. The idea of the “doomsday machine”—something once triggered we cannot turn off no matter how brainless we set our destruction in motion—all is lost until we meet again (I don’t know where, I don’t know when). Then all of us singing and dancing on our own graves—and those of other species less invested in our game of mutually assured destruction. Originally, the film was supposed to end with a pie fight in the US War Room. What was once parody has become allegory. Oil is now the bomb. Scenarios like Shell’s sneak carbon bombs into the mineshafts of futurity—just in case no one blinks on our way to three, four, of five degrees centigrade uptick in the century ahead. Scenario (2020): The Kinder Morgan Pipeline, having been “twinned,” is now carrying almost 900,000 barrels of oil per day as it sneaks through suburban Vancouver, filling 35 supertankers each month in the harbour of “the greenest city in the world.” One warm May, let’s say, there is a line rupture near the Pitt River Bridge, spilling massively into the Fraser River just east of the city. Oil quickly coats the surface of the river throughout its delta, winding through farms and the city [correction: diluted bitumen, upon coming into contact with air and water, separates into the rapidly evaporating toxins of its condensate and the heavier bitumen, which sinks to the river bed]. In this scenario, “oil that reaches the mouth of the river is discharged into the Straight of Georgia [comment: Salish Sea] with considerable momentum…it is likely that this oil will affect shorelines on the opposite side of the straight” [20 kilometers away] (Kinder Morgan blithely projects in its National Energy Board Application). Scenario: extreme weather caused by anthropogenic climate change, drought and/or water polluted by fracking and/or oil spills, rising food prices and food scarcity, escalating unemployment or casual/temporary employment, extreme personal debt and rampant home foreclosures, escalating and aggressively visible economic inequality (my helicopter/your cardboard box “shelter”)—all leading to a general situation of unrest and a nothing-more-to-loose attitude amongst the ever-burgeoning underclass, manifesting as regular street demonstrations, occupations, riots and looting—on a scale rarely seen in North America. Scenario planning, despite the utopian veneer, is about maintaining state and corporate advantage into the future. It is about future increase and future stability for those to whose advantage more and more of the same unfolds. “Visualize how the future could unfold and create a new and different business ‘landscape.’” But the landscapes are all still business landscapes and no other landscapes exist or could plausibly come to be. The future is not a scenario it’s what we will one day become, breathing or not, drinking clean water or not, dwelling in liveable communities—or not. We walk backwards with difficulty into an access no one sees no one possesses no one’s home. Go free but go carefully. I want a scenario no company has purchased futurists to offer means of accumulation 1) or means of accumulation 2)—your choice either way we win no thanks no thanks I choose not to choose what’s on the table now. No pipelines. No future burnt and spilt. Commons—shared resources upon which communities depend, and upon which these communities practice stewardship, in part so the shared resource will still be there for future sharing—are everywhere in human history, the heart of social reproduction, only squeezed to the periphery since the rise of the capitalist mode of production and social relations. 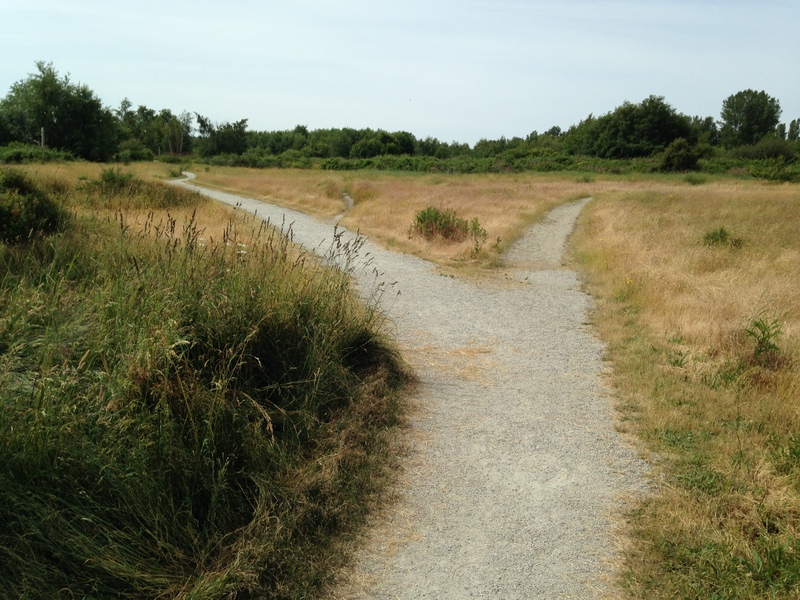 Commons are spaces marked not by fixed property lines but by active boundaries of customary use: they often depend upon regular perambulations by their users, who collectively reaffirm the extent, status and health of their shared life-line and responsibility, as they walk its fluctuating periphery. I had thought I could perambulate the bounds of certain proposed mine sites (Catface Mountain, Ajax, Testan Biny), reclaiming them as commons before they could be carved up and destroyed. Make a poem from this—that tempting six-page sentence Linebaugh recounts in the quotation above. But a piercing light radiates from regret, and art and aspiration sometimes stand in stark contrast against backgrounds of lived realities. Burtynsky’s photographs of oil spills that are dark tears in iris-textured water, mines that are deep terraced bore-holes in the earth, like descending rings of ochery infernos—aestheticized into a new opacity on gallery walls or between hard covers balanced atop privileged coffee tables. 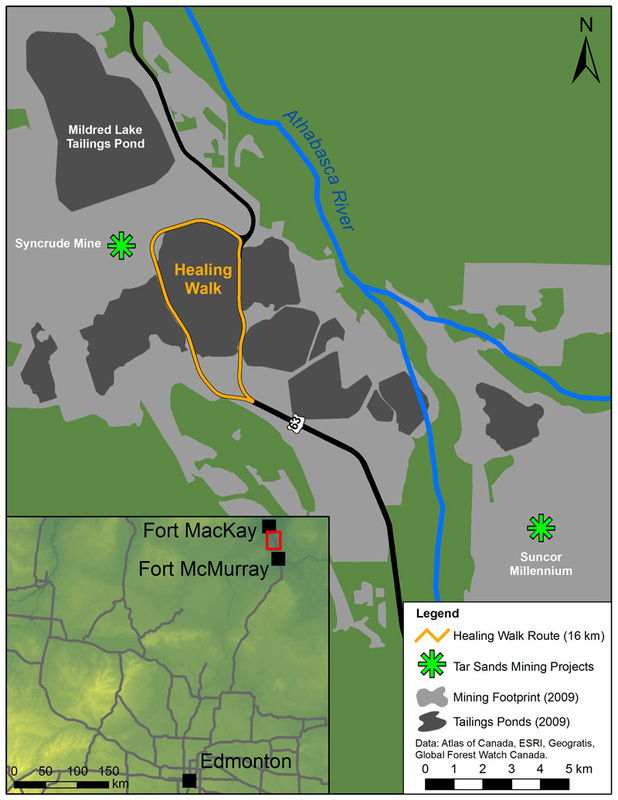 Take for example Taseko Mines Ltd (TKO, what a knockout), which has for decades been attempting to develop a mine at Fish Lake (Testan Biny) in what is called central British Columbia, sacred to the Tsilhqot’in people whose traditional lands it is. Can you claim as commons what indigenous land defenders have claimed as—home? Can you claim it as—art? In what ways does the European idea of the commons overlap with indigenous notions of the sacredness and primacy of the land (it “owns” you, you don’t “own” it)? I walk off the end of a phrase, into the space companies have marked—portfolio. It’s the future that frightens. Our access and “right” to a to-come, to a tomorrow, that seems to be being taken away from us right now. To morrow, as a verb—something we common, through our desiring dependence upon that spatio-temporality of the not-yet, but sweetly anticipated. What sort of space is the future though, and how might we perambulate its bounds, claiming it as common—a preserve we will need to depend upon in perpetuity? “Locked-in” climate change is in part based on the fact that there is enough carbon still in the ground, and yet identified, calculated, speculated upon, given value form, sold and invested before it is even removed, to fry us all, well and truly. That is, it’s mining is financially a foregone conclusion, almost an after-thought, already an asset on the market, already part of the bottom line, enough there to push us past CO2 levels scientists have identified as limits to a liveable planet. The future has been enclosed, monetized, bought and sold and—already burnt. Mutually assured economic destruction. But in what way was “mutually assured destruction” ever—mutual? We are now already the future the past dreamt of—or are we? Are we the ones we’ve been waiting for? How to negate futures we don’t want to unfold—futures already being constructed all around us by doomsday market forces—and so open the future to other—scenarios? These are some of the questions luring me right now. This doubt, this uncertainly, might somehow be the ground of a new writing “project” that I will use this blog to wander towards, haltingly, catching glimpses of past, present, and future commons, sighting along the peripheries of the present state of extraction, looking industry in its carboniferous eye, and finding hope in the eyes of those I march with, in city streets and rural fields.